Popular skiing terrain on Burnt Mountain East. The area is outside of the Snowmass Ski Area's operations boundary, but inside its permit boundary. The trail in question would allow skiers to access this terrain and then return to the Two Creeks base area. A trio of judges in the Tenth Circuit Court of Appeals denied an appeal on Nov. 8 in a lawsuit seeking to block the construction of an egress trail connecting lower Burnt Mountain East to Two Creeks, which was approved by the U.S. Forest Service in 2003. The decision, written by Judge Paul Kelly, Jr., ends the legal process for the plaintiffs in the suit opposed to the trail, the Ark Initiative, Donald Duerr who is connected to the Ark Initiative, Paul “PJ” Smith, who works at the Gene Taylor’s ski shop in Snowmass Village and Alex Forsythe, a Florida resident who skis frequently on Burnt Mountain. The U.S. Forest Service was the defendant in the suit and Aspen Skiing Company was not named. However, Skico legal counsel David Bellack attended oral arguments recently in Denver just in case he was needed to support the Forest Service’s case. It’s not clear yet what the resolution of the legal challenge to the trail means in terms of actually building the trail. 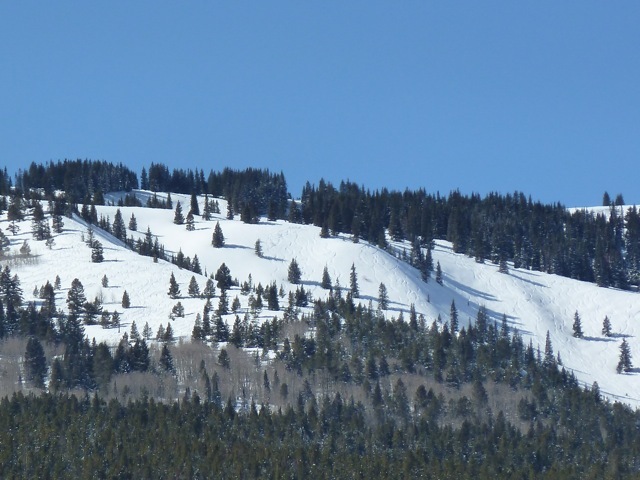 “We are aware the appeal was rejected but haven’t discussed anything internally regarding Burnt Mountain at this time,” said Aspen Skiing Company Vice President of Mountain Operations Rich Burkley. The trail in question exists today in crude form, but the legal battle begin after the U.S. Forest Service approved a wider and formalized trail. Known locally as the “Gene Taylor Traverse,” the existing trail allows for a skier or snowboarder to ski down most of the gladed terrain on Burnt Mountain East and then return to the base of the Two Creeks lift. The current trail is steep, narrow and twisty, and is difficult for ski patrol to navigate with a rescue toboggan or a snowmobile. The Burnt Mountain East terrain is inside the Snowmass Ski Area boundary but outside of its present operational boundary. Aspen Skiing Company officials proposed construction of a wider trail off lower Burnt Mountain East to the U.S. Forest Service in 2003. The proposed trail would make it easier to access most of the Burnt Mountain East terrain without building a lift in the area. The Forest Service conducted a review of the trail proposal, along with several other ski area improvements, in an environmental assessment in 2004 and the federal agency approved the trail in 2006. Ark Initiative, which is based in Montana and advocates for wildlife preservation, and the other plaintiffs appealed the Forest Service’s decision, saying that they felt the Forest Service should have conducted a more in-depth environmental impact statement and not just an environmental assessment. The internal appeal was denied and the matter ended up in U.S. District Court in Denver in December 2006. The plaintiffs at that time argued that the Forest Service’s approval process violated the National Environmental Policy Act and the Endangered Species Act. And they argued that the new trail would change the nature of the backcountry skiing on Burnt Mountain East, where a handful of locals enjoy relatively untracked powder conditions. In 2010, a judge rejected those and other arguments and found in favor of the U.S. Forest Service. Then the case was appealed. In the appeal, the plaintiffs tried a slightly different tack, arguing, among other things, that the Forest Service should have considered the Base Village proposal at the base of the ski area has a connected action. The judges found, however, that those arguments were not sufficiently presented in the lower court and were not sufficient to overturn the lower court’s decision in favor the Forest Service. Matt Kenna, an attorney in based Durango who represented Ark Initiative, said he doubted his client would appeal to the Supreme Court, as no legal significant issues were outstanding in the appeal court’s decision. He was disappointed in the outcome, however. The case was being closely watched by the National Ski Areas Association and Colorado Ski Country USA. The two trade associations filed a “friend of the court” brief with the appeals court defending the process by which the Forest Service conducted its review of the ski area improvements. The trade associations told the court that the Forest Service’s new way of reviewing ski area master development plans was more productive than the old way. “The Forest Service does not authorize master development plans,” the brief states. “It ‘accepts’ them. The Forest Service’s acceptance of a master development plan does not authorize anything. “Consequently Forest Service acceptance of a master development plan is not a major federal action that triggers the obligation to prepare an environmental assessment or an environmental impact statement under NEPA … ,” the brief continues. So rather than prepare an EIS on a large conceptual plan, the ski industry and the Forest Service have agreed that “spot NEPA” will be conducted on specific improvements in the master plan when the ski area is ready to move forward with a plan. For example, the current master plan for Aspen Mountain has been accepted by the Forest Service, but an overarching EIS was not done on the plan. Now, the Skico is preparing to submit a specific proposal for a new lift to serve the Pandora’s area, and the Forest Service is preparing to conduct an environmental assessment specifically on the lift proposal. Some critics of the Forest Service approach say, however, that conducting “spot NEPA” does not properly take into account wider potential impacts to ski area improvements or expansion. Editor’s note: This story was also published in collaboration with The Snowmass Sun on Nov. 30, 2011. SkiCo to close snowmobile ‘marina’ on top of Aspen Mtn.